If you want to sell your house, you need to prepare for seasons. Summer and fall are generally the best times to sell a home, according to recent buyer trends. Try to avoid winter and spring as the selling rates usually slow down during that time. The specific time of year will also depend on the area in which your home is located. 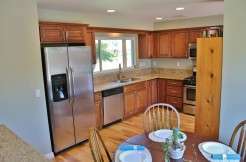 For example, a San Diego home will sell well at all times of the year; a Minnesota home will be inherently more seasonal. In the time of selling houses, people can be hasty and try to sell their house as soon as possible, which may create negative impressions towards the buyer. If you keep calm and steadily find the buyer, it will eventually help you to get the price your home is valued at. If you put your home on the market during a crowded time, you will have more competition, which will drive the price of your home down. If the timing is right and you get the right value, that is the time to sell your house. If you are hurrying to move on, you can negotiate the pricing with your buyers. But if you have enough time to prepare and are not getting the expected price, you can wait longer by putting your house in the market at a later time.